The perfect lighting for your gaming room, this PlayStation Mini Light with Startup Sound, is inspired by one of the most popular video game consoles ever created. 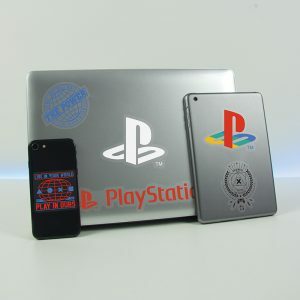 Features the iconic PlayStation logo and controller symbols, and plays the original PlayStation ‘start up’ sound effect for a great retro themed gaming gift. A cylindrical light measuring 11.5cm tall (approx 4.5in), the PlayStation Mini Light is powered by 3 x AAA batteries so it’s highly portable.